The meeting discussed reducing the risk of skirmishes along the inter-Korean border and preparations for the upcoming third inter-Korean summit where the South Korean delegation will include corporate leaders. Some business leaders will also attend tomorrow’s opening of liaison office in Kaesong. 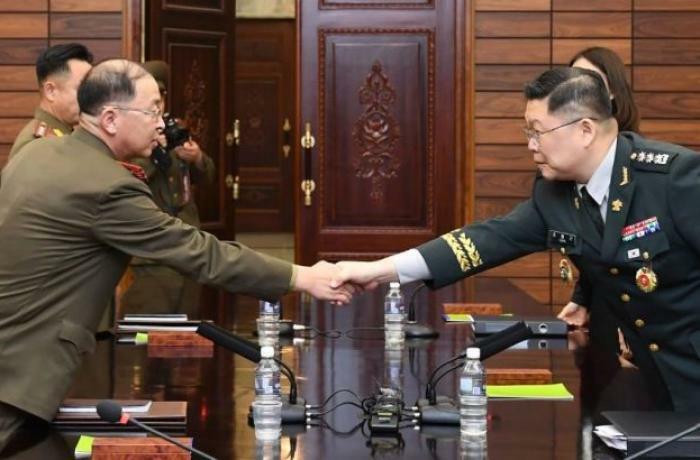 Seoul (AsiaNews/Agencies) – North and South Korea held working-level military talks today to discuss the establishment of a peace zone in the Western Sea, sharing fishing and reducing border tensions. In another development, South Korea wants to co-host the 2032 Olympics with North Korea. Pyongyang requested the meeting, which kicked off at 10 am at the reunification pavilion (Tongilgak) in the cross-border village of Panmunjom. The two sides agreed on the agenda for the next inter-Korean summit, scheduled for 18-20 September. Chung Eui-yong, South Korean President Moon Jae-in’s top security adviser, said that the ongoing inter-Korean talks showed that two Koreas are moving toward the stage of “operational arms control,” to reduce the danger of accidental skirmishes by adjusting troops’ deployment or training schedule. 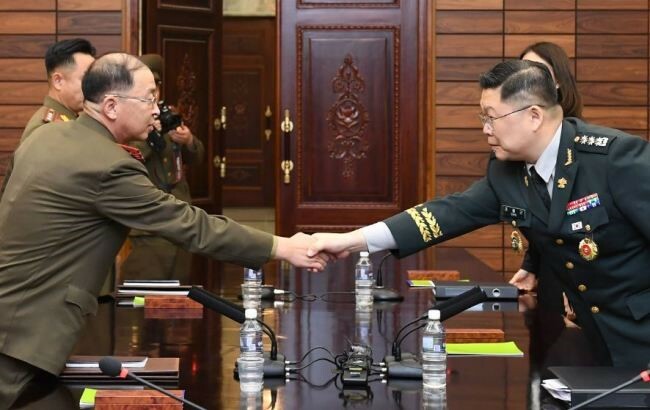 In July, the two Koreas’ militaries reached a “broad agreement” on the need for disarming a jointly controlled area at Panmunjom, excavating war remains inside the Demilitarised Zone (DMZ) and withdrawing guard posts on a trial basis. The two sides, however, failed to come up with a joint statement and a specific timeline for implementing the measures. At another venue, North and South Korean officials are working on the upcoming summit between Moon and Kim Jong-a next week. As part of the process of easing tensions on the peninsula, South Korea’s Minister of Culture, Sports and Tourism Do Jong-hwan proposed the two Koreas jointly host the 2032 Olympics. Business groups are also involved in the process. The heads of South Korea's top four conglomerates, including Samsung chief Lee Jae-yong, are expected to accompany President Moon Jae-in to Pyongyang for the inter-Korean summit next week. South Korean business leaders who ran companies in the now-shuttered industrial part in Kaesong were invited to the opening ceremony for an inter-Korean liaison office in the same city. The Kaesong industrial zone remained open between 2004 and 2016. However, an official with South Korea’s Unification Ministry said on condition of anonymity that the invitation has nothing to do with the reopening of the industrial park. The denuclearisation of the peninsula is another major issue. Moon pledged to make a fresh effort at the next summit with Kim; however, North Korea has excluded any unilateral denuclearisation.